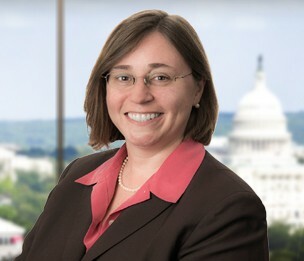 Jennifer Fraser is a Member in Dykema's Washington, D.C. office and serves as leader of the Firm's Trademark Practice Group. Her practice focuses on Trademark and Copyright. She has been recognized as a leading trademark practitioner in the Washington D.C. area by World Trademark Review for several years for enforcement/litigation and prosecution/strategy. Ms. Fraser represents clients in a variety of areas including trademark filings and prosecution, trademark and copyright litigation, litigating rights before the courts and the Trademark Trial and Appeal Board and resolving domain name disputes. She served as an Examining Attorney with the United States Patent and Trademark Office, which enables her to effectively anticipate and resolve issues during examination of trademark applications. Ms. Fraser assists clients with other intellectual property issues including copyright prosecution, counseling and litigation, and drafting various agreements to strengthen intellectual property rights and resolve disputes. She has significant trial experience including obtaining damages for willful infringement. Prior to joining Dykema Ms. Fraser practiced at a national intellectual property firm, serving as co-chair of their Trademark and Copyright Section.